Well its been about a year since we posted anything here on racefriv, so long I almost forgot how to post on here. Fear not to our dozens of fans out there as I have been busy, just not writing. The new season is here and I am once again in the spirit to share my thoughts of car love on this beloved place we call the internet. For now I will be riding solo on the blog as my fellow racefriv mates have have moved on to bigger and better things, that's not saying that they wont return and that all there past additions to the blog arn't greatly appreciated, but for now I'm back to the one man band this website started as. Thats not to say we wont have some content up on the regular, as Ive been pretty busy in the garage and have some excellent builds in progress and I have to say my best build ever. 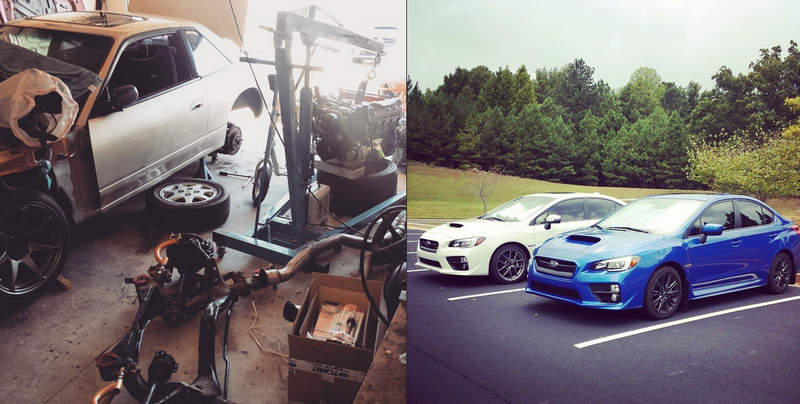 As some of you know I picked up a 2015 Subaru WRX as a daily that now has about 10k on it so expect that in the near future, also last year I picked up a 89 S13 Coupe to build the ultimate smile inducing street/track car and that build is finally getting close to completion, expect a pretty long build post on that beast when its done. Of course my AE86 is still around and in need of some simi-serious work so that build will up on the blog when I get to it. As always well be at FD and SOWO and anything else that tickles our fancy. With the new S13 build being an all around car hopefully I can stretch its legs at a few different types events including some track days, drift events, time trials and whatever else comes my way. So yay were back! Get ready for some solid 2015 posts and thanks for catching up with us!